Left ventricle of heart. 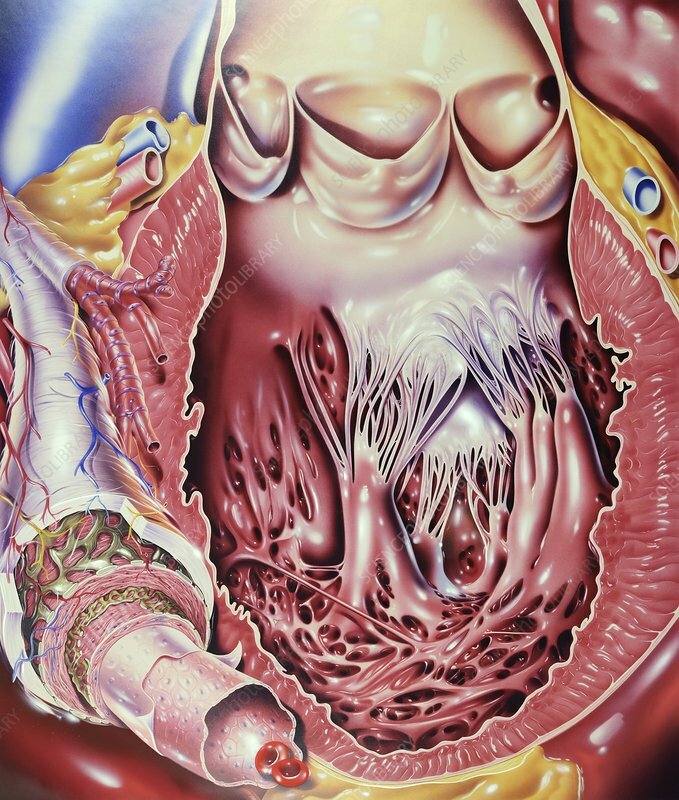 Artwork showing the structure of the left ventricle of the heart, including the heart valves and the chordae tendineae (heart strings). At left are the layers and structure of an artery. From the inner layers working outwards, the first three of the six layers constitute the tunica intima. These three layers are the endothelium, basal lamina, and internal elastic tissue. The outer three layers are the tunica media, another elastic layer, and the outermost tunica adventitia layer. Two red blood cells are also shown.